Andreas Lubitz, the co-pilot of the Germanwings plane that crashed in the French Alps with 150 people on board last week, had undergone treatment for suicidal tendencies in the past, prosecutors said. "Several years ago before obtaining his pilot's license the co-pilot was in a long period of psycho-therapeutic treatment with noticeable suicidal tendencies," the prosecutors' office in Duesseldorf, where the pilot lived and where the flight from Barcelona was heading, said in the statement. No signs of suicidal behavior nor aggressive tendencies towards others had been shown by Lubitz during his visits to doctors after the treatment, the prosecutors' office added. The co-pilot appears to have visited a hospital in Dusseldorf prior to the tragedy. According to Tagesspiegel daily, Lubitz this happened several times in February and March. Although details of the visits have not been made public, reports suggest eyesight problems, possibly a detached retina, were behind the calls. On Monday, the University Clinic in the German city passed Lubitz's medical records to investigators, TASS news agency reported, citing sources in the hospital. Last week, more revelations about the co-pilot's health surfaced, questioning his allowability to fly a commercial airliner. 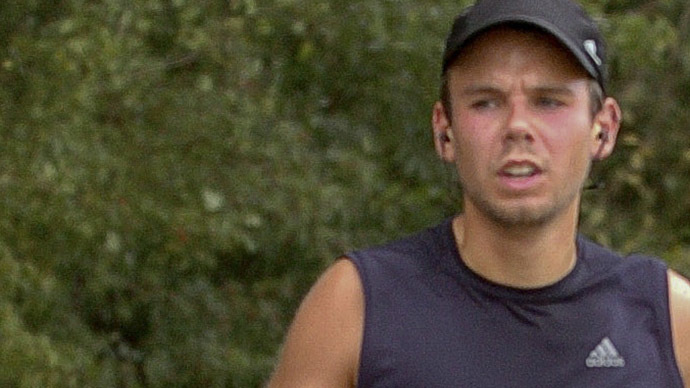 Citing anonymous sources within Lufthansa, Germanwings' parent company, Bild newspaper said that Lubitz had spent 18 months overall under psychiatric treatment. The pilot was diagnosed with a "severe depressive episode" in 2009, the German daily said. On Friday, prosecutors also cited documents "with medical contents" that pointed towards "an existing illness and corresponding treatment by doctors." They added the co-pilot could have concealed his illness from his employers. A torn sick leave note for the date of the crashed Germanwings flight was found in Lubitz's home. "A verifiable announcement of intention is still missing, as well as a confession of the crime. Nor have special circumstances in the immediate personal, family environment or at the workplace become known, which could have given reliable reference to a possible motive," prosecutors' spokesperson Ralf Herrenbrueck told journalists on Monday. A number of witnesses, including the co-pilots’ friends and colleagues have been questioned, but little indication of a motive or signs of immediate physical illness have been found, the prosecutors said, adding that the authorities refuse to be involved in any speculation regarding Lubitz's actions. After a transcript of the Germanwings' flight 4U9525 cockpit “black box” was leaked to German media, revealing the plane's final moments, there has been criticism of the prosecutors, who confirmed and released details from the voice recorder. Calling "the leaking of the CVR (cockpit voice recorder) data a serious breach of fundamental and globally accepted international accident investigation rules," the European Cockpit Association said a full investigation had to be complete before such announcements, adding that "the motivation for and consequences of this will need to be addressed."